At last after almost 3yrs, I was able to finish this drama and still, my opinion is the same. Its boring. Its a highly political drama hence I understand that there's less action and more conversations but I didn't sign up for that. 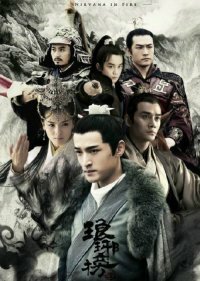 I remember I was watching Six Flying Dragons and Nirvana in Fire at the same time and dropped this because SFD though highly political, there are intense scenes and high profile characters that keeps the drama interesting. I picked this up again last month because I want to see why people are highly praising this. Yes, the story is solid, acting may be good, but the plot and execution is boring for me. The ending was expected though sad but unlike most historical cdramas, this one has tied most loose ends. But still, compared to the ones I have watched before with the same genre, I am not moved with this. 6/10 for me.